The man has been identified as Anand Salve from Osmanabad district of Maharashtra who suffered losses as prices of soyabean and cotton crashed. 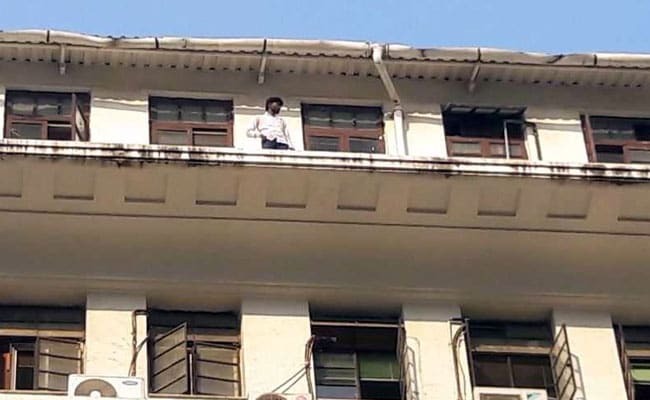 Mumbai: A man today climbed the parapet of the sixth floor of the Mantralaya building in Mumbai and threatened to jump if he was not allowed to meet the agriculture minister of Maharashtra. He climbed down this evening after Maharashtra's Education and Culture Minister Vinod Tawde reached the Mantralaya to try to convince him to not jump and return inside to safety. Fire brigade officials were also seen at the spot with a trampoline in case the man jumped. Chief Minister Devendra Fadnavis was not at the Mantralaya. 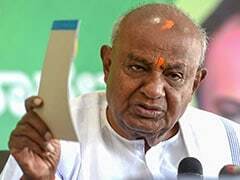 Agriculture Minister Pandurang Fundkar was not present either.